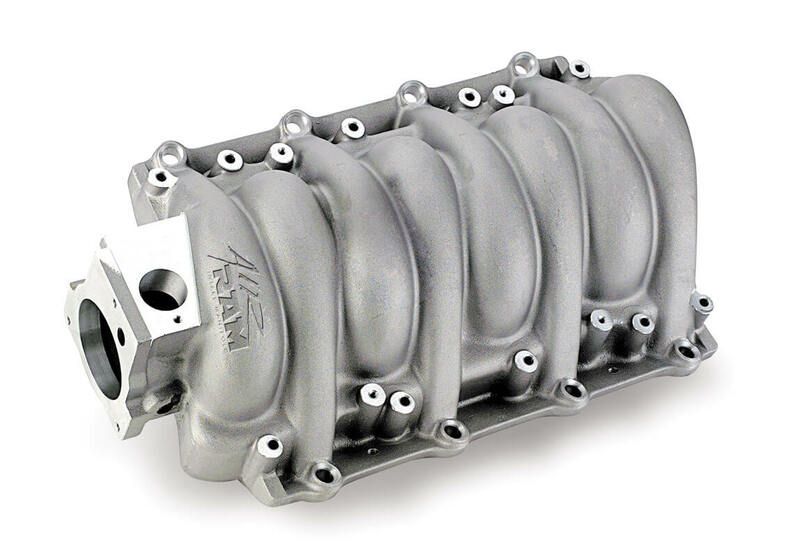 What happens when you add one of these LS6-style intake manifolds to your LSx? You get some serious horsepower gains--up to 12 HP over stock. And Weiand left plenty of room to make more power, too. These lightweight aluminum intakes have a surprisingly beefy design, which gives you plenty of room for porting. Plus, the manifolds can handle the high-intake pressures of nitrous or blower systems. Other features include an idle-to-6,200 rpm powerband, a removable underside panel for access to the runners, and your choice of satin or polished finishes. Cathedral port intake with more oomph!